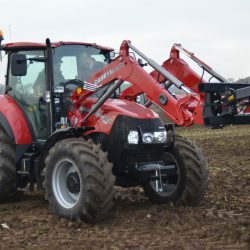 Case will exhibit almost every model in its comprehensive range at Cereals 2014, including the new Quadtrac 620, Magnum CVX, Maxxum CVX and Farmall U Pro tractors. 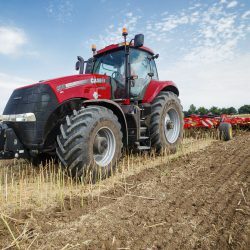 Also shown will be the Axial Flow combines with the new 12.5m Case IH 3050 VariCut header option and the company’s new range of Farmlift telescopic handlers. Cereals 2014 takes place in June at Chrishall Grange, Nr Duxford in Cambridgeshire and according to its organisers it is the leading technical event for the UK arable industry with over 64ha of stands and live demonstrations. 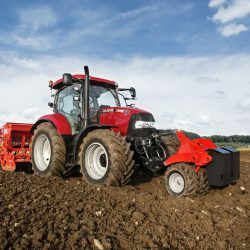 Case claim it’s Quadtrac range includes the world’s most powerful tractor in series production, the new Quadtrac 620, together with Quadtrac 540 and Quadtrac 580 models. Rated at 628hp, the Quadtrac 620 produces up to 692hp and 2941Nm of torque. Case IH was the first manufacturer to launch a tractor with a continuously variable transmission, in 1999, on the Puma CVX. This technology has recently been extended to larger and smaller models. The five Magnum CVX models have rated power outputs from 260hp to 370hp. The eight Puma CVX models range from the 131hp 130 CVX, which delivers a maximum of 171hp with Power Management, to the 228hp Puma 230 CVX with up to 269hp. The three new Maxxum CVX EP tractors are the first four-cylinder Case IH models to incorporate this transmission. 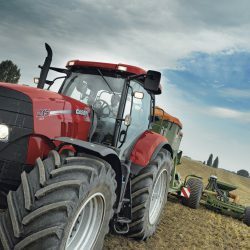 According to Case the new four-wheel-drive 99hp Case IH Farmall 95U Pro, 107hp Farmall 105U Pro and 114hp Farmall 115U Pro provide livestock operations, mixed farms and smaller contractors with outstanding versatility, performance, economy and comfort. 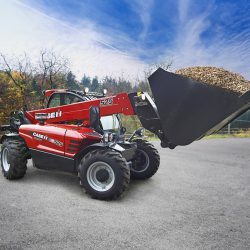 Case IH Farmlift telescopic loaders combine compact dimensions, powerful engines and hydraulics with multi-functional capabilities. Power outputs range from 74hp (Farmlift 525) up to 143hp (Farmlift 635 and 742), with maximum lift heights from 5.7m to 9.6m. 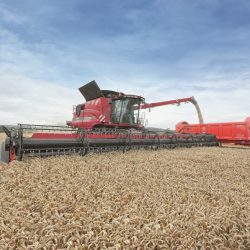 The six Case IH Axial-Flow combine harvesters comprises three ‘130 Series machines, the 5130, 6130 and 7130 from 299hp to 415hp, together with the ‘230 Series combines, the 7230, 8230 and 9230 from 449hp to 571hp.